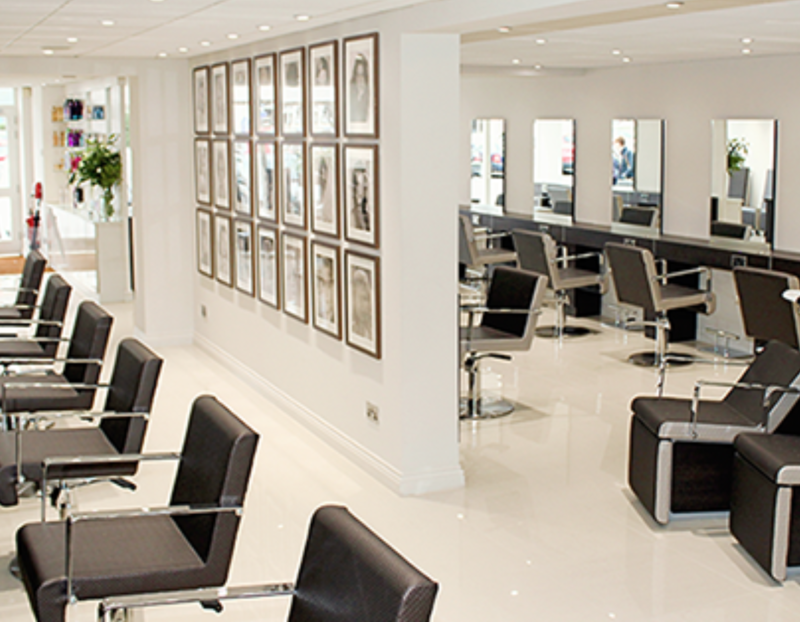 Established in 1980, Wispers offers a wealth of experience in the hair profession. Our modern Hair and Nails salon, based in the historic Wickham Square, has a fantastic reputation for providing an exceptionally high level of service by some of the most talented Hair Professionals in the South. Our mission to constantly improve what we do and exceed our clients’ expectation, has never changed. The team undergo extensive and regular training and self-development programs with leading professional brands such as L’Oreal and Kerastase as well as other acadamies. This enables us to produce results that are always of the highest standards. We feel passionate about keeping up with with all of the latest trends and developments in Hair and Nail Technology. This allows our clients to benefit from new techniques, products and styles that we tailor to suit each client and their individual needs. We offer new technologies such as L’Oreal SmartBond, Kerastase FusioDose and Kerastraight, so please ask your stylist for more details. The salon is equipped with the latest equipment such as Ceramic Rollerballs which ensure the best possible colour treatments as well as optimising the moisture in your scalp during the treatment to ensure you leave the salon with your expectations exceeded. For your comfort and relaxation, we also provide iPads at the Development Stations for your use during your visit and our alcohol license enables us to offer you a wide range of complimentary refreshments during your stay with us. Thank you for your kind words and we will pass them onto the team. Thank you for your kind words and we will share them with the team. Thank you for your kind words and we will pass them onto Nic. It's always great having my hair done with Ellen but this last visit was really appreciated. Having been out of circulation due to surgery and turning up looking awful, I left looking great and feeling amazing. Thank you Ellen! Thank you for your lovely review and we will pass on your kind comments to Ellen who will be delighted. Thank you for your kind words and we will pass them onto Zoe who will be delighted. Abi Is the best hairdresser I have ever had – she is charming, consistently excellent and understands that I just want to read the magazines! I couldn’t recommend her more highly. Thank you for your lovely review and we will pass on your comments to Abi who will be delighted. Nick has cut my hair for quite a few years now, and I’ve never been disappointed. She is so talented and knows what suits me. Thank you for your kind words and we will pass them onto Nic who will be delighted. Thank you for your kind words and we will pass them onto Alex and the team. Yet another very successful visit to Ian. He has been cutting my hair for the last 37 years and as always is extremely professional and very courteous. I am thrilled that the salon is thriving and so pleased for Tina that her dream has been achieved. Thank you for your lovely review and kind words. We will pass them onto Ian and the team. Tina always makes me feel a million dollars by the time I leave, and I can always cope with my style as she explains how to work it. Fabulous. Thank you for your kind words and we will pass them onto Tina. Hayley always puts me at ease. She knows exactly what I want and is always friendly. Love the salon and all the staff. lovely cup of tea too! Thank you for your lovely review and we will pass on your kind words to Hayley, Tash and the team. Thank you for your kind review and we will pass on your comments to Nic. Thank you for your review and we will pass on your kind works to Nic. Lovely warm friendly girl, made me feel welcome. Thank you for your kind comments, they are much appreciated. Thank you for your kind words and lovely review and we will pass it on to Tina and the team. I love the way Alex does my hair. The colour is just right, the cut is great (the best I’ve had) and the blow dry good. Thanks Alex! Thank you for your lovely review and we will pass on your kind comments to Alex. Thank you for your kind review and we will pass your kind comments onto Ian. I have always come to this salon forany years.the staff are very friendly and always do a class 1 job wouldn't go any where else. Thank you Angela. We will pass on your kind comments to the team who will be delighted. Colour and cut & blow dry with Becca this afternoon. Really pleased with it. Thank you Becca. Thank you Katie, we will pass on your kind comments to Becca who will be delighted.